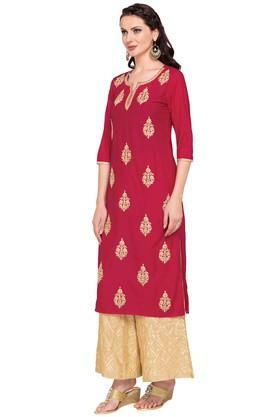 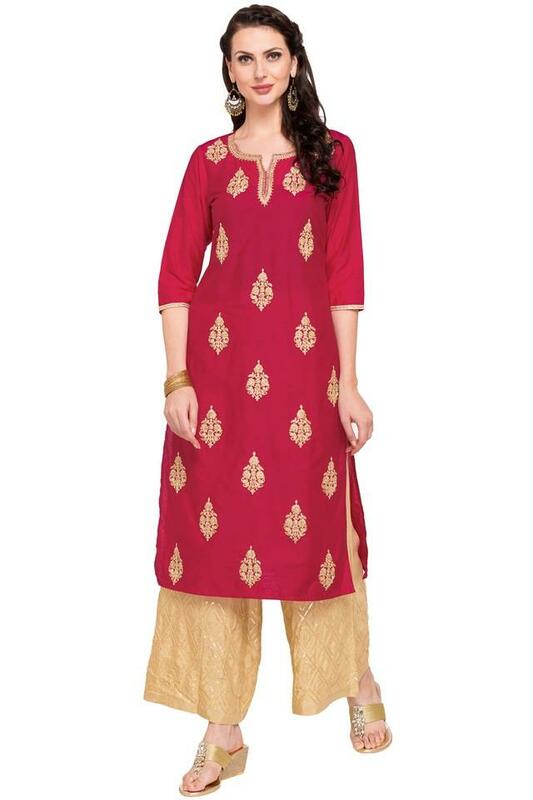 Channel a winning, ethnic style with this straight fit kurta from the house of Kashish. 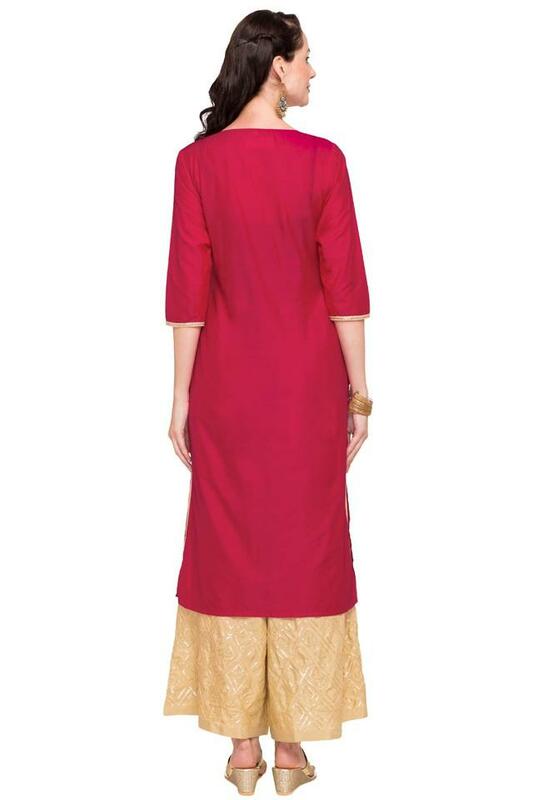 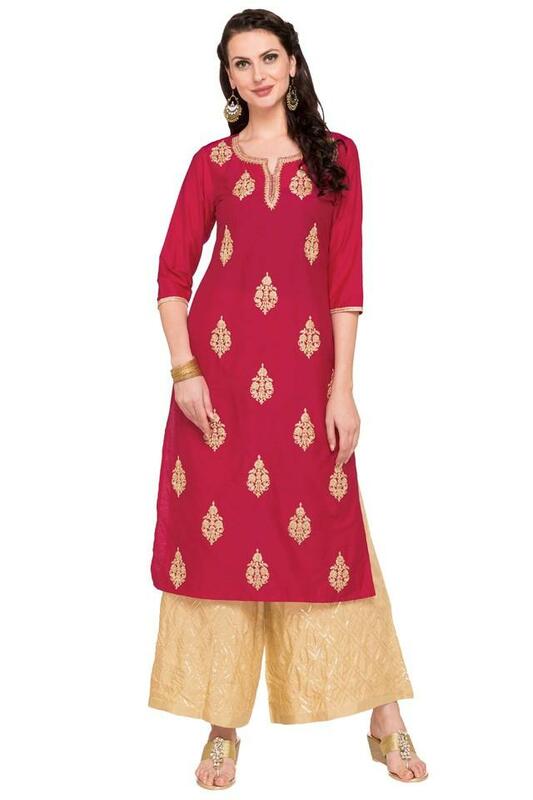 It features notched neck, embroidered pattern along with three quarter sleeves which gives it a trendy look. Moreover, use of good quality fabric makes it comfortable to wear for long hours.